Pierre Paul Broca was a child prodigy. He fulfilled his promise by becoming a brilliant neurologist, surgeon, and anthropologist. Perhaps his most lasting contribution to neuroscience was his proposal that the third frontal convolution of the left cerebral hemisphere of the brain is the seat of that most human attribute, the production of articulate speech and language. This notion was advanced by detailing the autopsy findings, with quite evident and circumscribed lesions, in the brains of his two now famous cases, Leborgne (known as Tan, for that is all he could say) and Lelong. Broca s presentations were milestones in the history of the neuroscience of language and the brain, but they were only more defined echoes of ideas that had preceded him. Undergraduate and graduate students as well as practicing professionals and clinicians in psychology, neurolinguistics, cognitive psychology, communication science and disorders, neurology, neurosurgery, neuropsychiatry, nursing and health-related professions, and philosophy of science will be interested in this book. 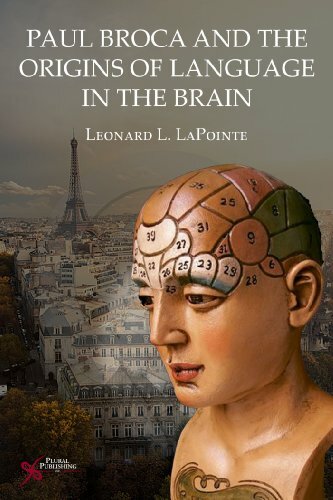 It is different from others like it in that it presents aspects of the personal lives of these French brains who sparked the notion of a place in the brain for human language. It embraces a more empathic and humanistic approach to understanding people and their disorders as well as to what may drive the process of science and patients as specimens. Brand: Brand: Plural Publishing, Inc. If you have any questions about this product by Brand: Plural Publishing, Inc., contact us by completing and submitting the form below. If you are looking for a specif part number, please include it with your message.